A classic trip for lovers of views and climbs, who want to extend their season to early spring or late fall. 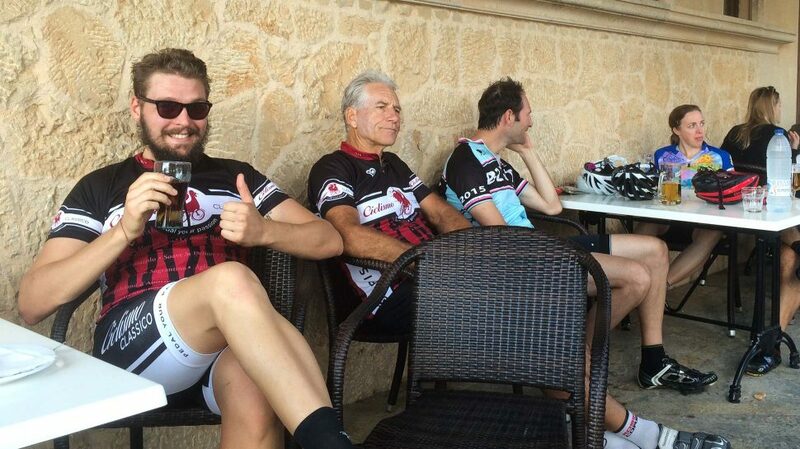 Mallorca has been the preferred training ground for cycling pros and aspiring amateurs for years. Its mild climate is just the beginning. Mallorca offers epic terrain on roads that are smooth with little traffic. 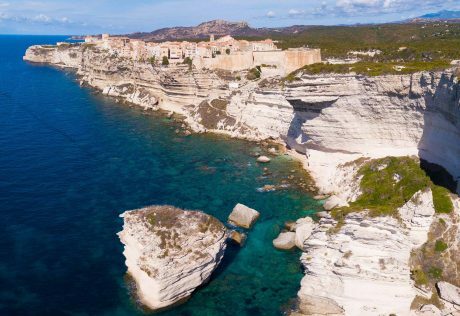 There’s stunning and varied scenery in all directions: monasteries on mountaintops, dramatic cliffs that drop into the sea, ochre houses with green shutters and balconies full of flowers. 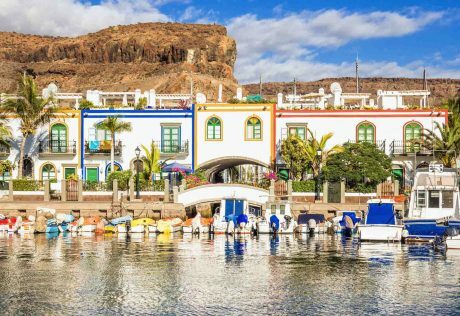 The cuisine of the island has been influenced over thousand of years by the civilizations that have come and gone, and today there is something for everyone, from tapas bars to old wine cellars converted into restaurants serving traditional food to Michelin-starred restaurants. Winemaking has seen a resurgence in the last few decades, and today winemakers are producing quality wines from popular international grapes as well as indigenous varietals. 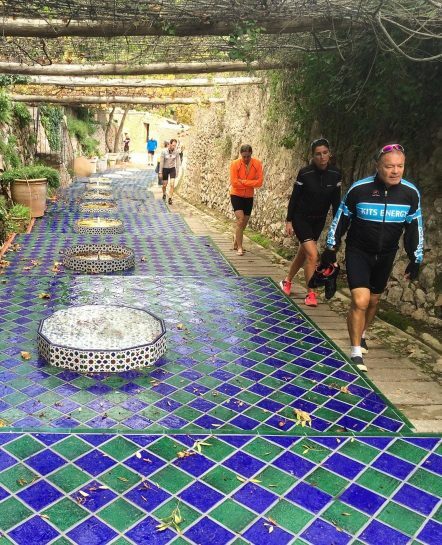 All of these ingredients combine to make Mallorca a true mecca for cyclists. Our guides will lead you on a tour of the island from west to east, along coastal roads and quiet inland routes. The tour offers amazing cycling for intermediate to expert cyclists with daily doses of Ciclismo magic that will excite your senses. Welcome to Mallorca! You can take a taxi from Palma de Mallorca Airport to our first hotel in Randa near Algaida, a rural Mallorcan town known for its windmills. At 1 p.m., we’ll meet for a light lunch, introductions and a bike fitting, and then we’ll take a warm-up ride to stretch our legs, cruising on nearly car-free roads past almond and olive trees. There’s one small climb (3 miles), which offers spectacular views of the whole island from the top third of the climb. Hotel Son Julia, a lovely restoration of a 15th-century mansion, provides elegant comfort from its glorious location in the countryside. Boasting a 300 year old rambling garden, shady terraces and a patio of orange trees, you can find quiet relaxation among its charming walls. Our ride will take us to the Serra de Tramuntana, a mountain range which forms the northern ridge of the island. Along the route we’ll cross several inland villages, stopping for a wine tasting in Binissalem and continuing to Sóller, a town surrounded by citrus groves and craggy peaks. We’ll reach Sóller by way of one of the classic climbs of Mallorca, crossing the Tramuntana. In 1997 the Sóller Tunnel opened and today, almost all motorized traffic takes this route through the mountain. This leaves the mountain road (with almost 26 hairpin turns) virtually car-free for cyclists to conquer! The descent from Col de Soller brings us to Deià, a small, picturesque coastal village known for its literary residents and musicians. The 4-star Hotel Es Moli’ is set on a hilltop in a 17th-century mansion. It has a heated spring water outdoor pool and a private, exclusive rocky cove. 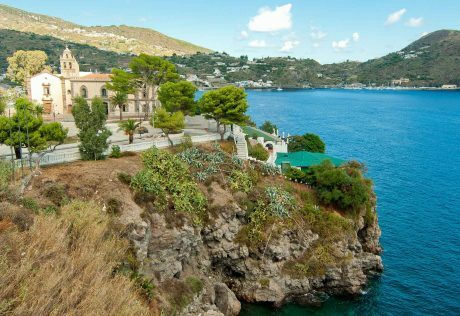 Views of dramatic coastal scenery and the Tramuntana mountains will be part of our route to Banyalbufar, a cliffside village with a Moorish heritage whose name means “vineyard by the sea” in Arabic. In fact, it was the Moors who introduced the agricultural technique of terracing, which turned the hillsides into farmland which they used to cultivate grapes. The serene village of Valldemossa includes a 13th-century monastery which enchanted Chopin inside its charming walls. The village is surrounded by lush countryside and forested hills. On the way back to Deià, we’ll visit la Granja de Esporles, a beautiful 17thcentury mansion surrounded by lush vegetation, botanical gardens and natural fountains. For those who want to save their energy for tomorrow, there will be a shorter out-and-back ride option and back at the hotel, you can enjoy the beach! Today, we’ll ride on the Ma 10, one of the most famous routes on the island that spans the length of the Tramuntana mountain range. On the way to Alcudia, we’ll stop at the Lluc Sanctuary—a former monastery and Mallorca’s most sacred site—for a picnic lunch. It’s a favorite stop for cyclists that offers a tranquil setting and spectacular views. The Alcudia Petit Hotel is set in the town’s charming historic quarter a few hundred feet from the Roman Walls. It features a restaurant, terrace and a hot tub. The rooms are stylish and offer air conditioning and modern decor with bright finishes. It’s located just a very short walk away from the beach. Today, we ride along a dramatic stretch of coast to the northernmost point of the island, Cap de Formentor. Have your camera ready: this gorgeous place has quite a few lookout points with spectacular views. Jagged, 1,312- foot tall cliffs jut into the sea from the lighthouse, and on a clear day you can see all the way to the Island of Menorca. The afternoon before our olive oil tasting and picnic lunch on the olive orchard, you are free to explore the old town full of Roman and Moorish influences. After breakfast around 9 a.m., we’ll take a 45-minute group shuttle back to Palma de Mallorca Airport (PMI) to make your next connection, or you can extend your stay in Alcudia! Your guides are more than happy to offer suggestions.